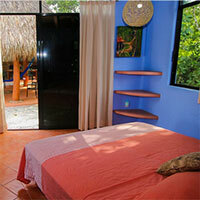 Seperate bedrooms each with a private bathroom and sitting area. Central Lounging Area. 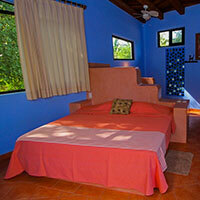 Casa Azul is a private 2 bedroom, 2 bathroom house with great access to the beach and town of Troncones. Troncones, "The Blue House". Color inspired by Frida Khalo, or perhaps the color of the robes of the Virgen of Guadalupe..... in any event stunning and cool. 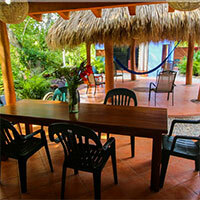 Troncones Vacation Rentals is a website dedicated to providing a comprehensive list of properties in the Troncones area. We are solely a listing service and do not make reservations, nor do we assume any responsibility for how the properties listed are managed. 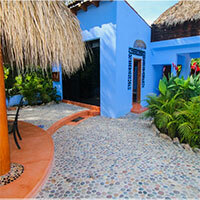 Troncones Vacation Rentals also has partnerned with VIP San Miguel a service that provides discounts to its members. 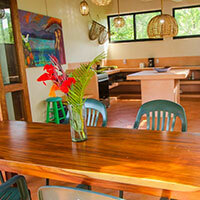 (c) 2013 Troncones Vacation Rentals. All rights reserved.